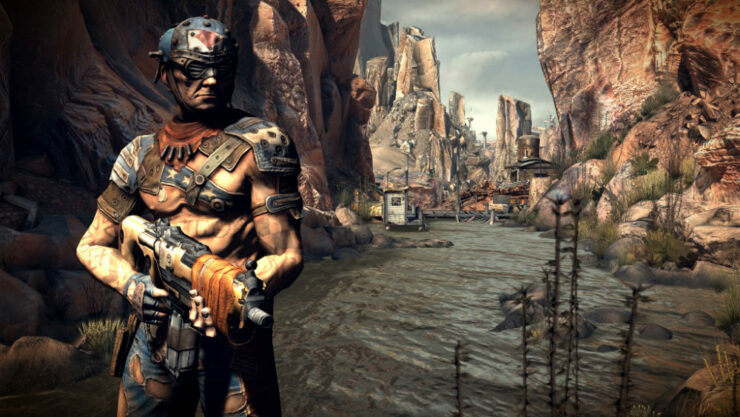 There’s been some speculation these past few days regarding the possible announcement of RAGE 2, sequel to the post-apocalyptic first-person game developed by id Software. Speculation can now end, as the game is indeed real and coming. Earlier today, an advertisement has leaked online, showcasing characters and setting. Judging from the crazy characters shown in the video, it seems like the game’s tone will be somewhat different from its predecessor’s. You can check out the leaked trailer by going here. The original RAGE has been released back in 2011, featuring a post-apocalyptic setting like its sequel, an intense first-person experience and more. With the RAGE 2 ad having been leaked online, we won’t have to wait much longer for an official announcement scheduled for later today. We will keep you updated on the game as soon as more come in on it, so stay tuned for all the latest news.